Home to Acadia National Park, located on Mt. Desert Island, the town of Bar Harbor boasts stunning bay and mountain beauty as well as numerous unique shops, boutiques, restaurants and inns. Main, Mt. 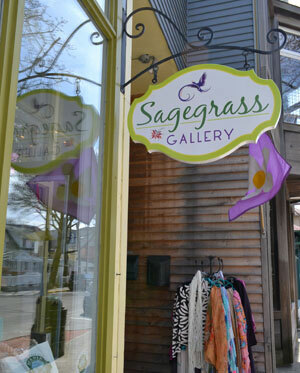 Desert and Cottage Street shops have art, crafts, jewelry, clothing, books and Maine inspired gifts. Also, you can find souvenirs, pet gifts, home decor, and of course t-shirts, sweatshirts and outdoor apparel. In summer, the town pier is the place to catch whale watch and other boat trips. The Shore Path, Acadia's Great Meadow Loop Trail and the Bar Island Walk offer scenic hikes from town ranging from 1 to 3 miles. The Village Green, Agamont Park and Grant Park have benches and grassy resting spots for a picnic or people watching. 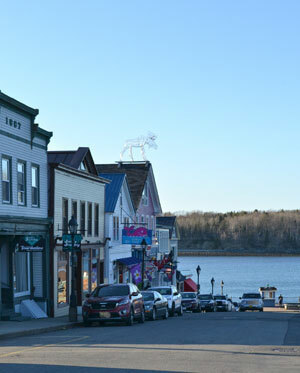 Also, 12 miles away is the small village of Northeast Harbor with several boutiques, gallery and lunch spots. This pretty harbor also has boat trips in season, lovely vistas, an information center, and benches for relaxing. 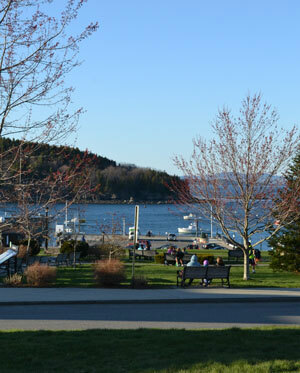 Bar Harbor has lots to see and do, including breathtaking views, unique shops and delicious seafood.